Dr. Sri Ghanta grew up in suburban Chicago, Illinois after his family relocated from India when he was 6 years old. He excelled academically at the prestigious Barrington High School and earned a scholarship to attend Truman State University in Missouri, where he graduated with both a Bachelor of Science and a Master of Science degrees in Biology. Not being able to narrow his interests between art, science, medicine, or business, he decided to pursue a career that combined all of his passions. Dr. Ghanta earned a D.M.D. degree in 2003 from Southern Illinois University School of Dental Medicine, where he was also the president of his class. Once again following his family, he joined them in a move away from the cold of the Midwest to beautiful sunny Florida. With its laid back atmosphere and picturesque backdrop, the town of Stuart was a natural choice. Dr. Ghanta has been with Anchor Dental since 2006 and has loved every moment of it. Along with generalized and cosmetic dentistry, Dr. Ghanta has pursued an interest in implantology and orthodontics. In 2010, he completed a three-year residency program in implantology at the Atlantic Coast Research Clinic in West Palm Beach, FL and is also a certified Invisalign provider. He is a proud member of the American Dental Association, the Academy of General Dentistry, the Florida Dental Association, the Treasure Coast Dental Society, and the Atlantic Coast Research Clinic. Dr. Ghanta has also been a volunteer dentist on staff at the Community Christian Dental Clinic in Port Salerno since 2009. 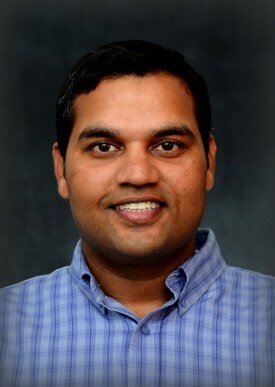 Dr. Ghanta lives in Palm City with his wife Amita, daughter Reena, son Ryne and their beloved dog DeNiro.When he is not at work, he enjoys spending time with family and friends. His other interests include riding bikes, going to the movies, deep sea fishing, and watching his hometown Cubs or Bears play.